It used to be that math majors were relegated to teaching, but those days are long gone. A degree in mathematics can carry you far into your future. Today, individuals with math degrees can choose from an extensive list of careers that include everything from management to science. While math majors often need to go on to graduate school to get specialized training, studying math provides a solid foundation for future pursuits. The following list of careers for math majors is designed to demonstrate the extensiveness of available jobs, but does not include every possible career. Career explanations and salaries are provided by the U.S. Bureau of Labor Statistics (BLS) or PayScale. On the BLS website, you find the career you are interested in through the site's search option located at the top right hand side of the agency's homepage. On PayScale, you find the career you are interested in through the "PayScale Index" option located on the lower right hand side of the homepage. Once at the Index, select the "career research" option at the top of the page. Finally, enter the title of the career in the "job title" section on the left hand side of the page. 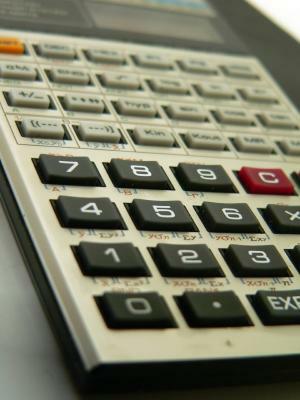 Accountant: Whether working for a private client or at a large corporation, accountants use math on a daily basis. If yearly tax returns don't interest you, consider working for a large corporation planning stock dividend payouts or bonuses. You may or may not need a degree or a license to work as an accountant. Average yearly salary: $60,000. Auditor: Forget sitting in an office planning the ins-and-outs of a business's finances - as an auditor, you swoop in every quarter to ensure that company finances comply with legal requirements. To work as an auditor, you'll need to be licensed. Average yearly salary: $60,000. Architect: As an architect, mathematical equations ensure your building won't collapse. You'll also use math to determine building size and whether the building satisfies land-use requirements. To work as an architect, you'll need a master's degree in architecture. Average yearly salary: $70,000. Climatologist: These professionals study weather trends over a period of months and forecast the weather for upcoming seasons. Average yearly salary: $81,000. Cryptographer: Are you interested in truly unlocking secrets? These professionals uncover and interpret codes. The career isn't just for spies anymore; banks regularly hire cryptographers to encode their wire transmitters and ATM cards. Average yearly salary: $85,000. Engineer: These professionals develop and test new products designed to make life better, simpler or to meet society's demands. Specializations in chemical, electrical, aerospace, civil, computer or marine engineering, permit engineers to focus their career on one type of product. Salaries vary widely depending on the type of engineering, but you can expect an average of approximately $70,000 per year. Epidemiologist: Determine why people get sick and how to prevent illnesses. Epidemiologists study the chemical makeup of diseases, why some diseases are incurable and develop immunizations or cures. Average yearly salary: $61,000. Pharmacist: Not only will you use your math skills to fill prescriptions as a pharmacist, you'll also need them to calculate dosage levels in order to prevent drug interactions or to keep prescriptions from being too powerful. You'll also need a Pharm.D. degree to practice. Average yearly salary: $100,000. Purchasing Agent: Individuals who work as purchasing agents negotiate contracts with vendors and decide how much supply a business needs to operate while still making a profit. Average yearly salary: $50,000. Technical Writer: Explaining how to operate equipment or mix chemicals is tricky, and becomes even trickier when the author doesn't understand math. As a technical writer, you'll explain how to create compounds or put together advanced mechanical equipment. Average yearly salary: $61,000. Urban Planner: As an urban planner, you may have an opportunity to tell your mayor or governor exactly where to locate residential developments, shopping districts and businesses in a city. Use your math skills to plan every element of a town to ensure that every citizen has equal access to public services. Average yearly salary: $60,000. The following careers are also available to math majors. Learn more about the education requirements and tasks associated with them at the BLS website. The Mathematical Association of American publishes two books that describe the variety of careers available to math majors: She Does Math and 101 Careers in Math. Brigham Young University established a website for math majors. The site contains information about potential careers including salaries and general tidbits about math education. A math degree doesn't limit you to teaching the subject, although you certainly can choose to do so. Use your math degree as a stepping stone for pursuing a career you are interested in and - hopefully - will love.